Netflix is hands down, the most popular streaming service in the world! Though Netflix has the largest customer base in the United States and hosts the largest catalogue of TV shows/movies in there too, the same is not available to those outside USA. 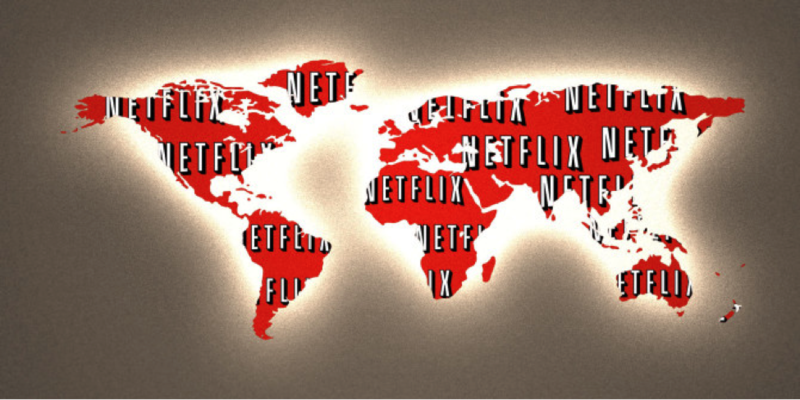 It’s true that Netflix is available in more than a hundred countries in the world, but unless you happen to be located in the United States you could be missing out on most of the fun. This is because Netflix’s content providers enforce geographical based restrictions that prevent users from a specific region to access content available in the other regions. Therefore, the shows you get to see in Netflix USA may not be readily accessible in Netflix Canada. Especially, countries like South Africa, Bahrain, India, Italy and many others have only a fraction of the entire Netflix catalog. As a matter of fact the American Netflix has the highest number of Netflix titles, not all of whom are available to the rest of the world. The one solution to this problem! Even in this adverse situation, not all hope is lost! Netflix subscribers from countries where Netflix’s popular shows are not available can still access Netflix USA via a Virtual Private Network! This can be done through any platform you happen to have including Mac, Windows, Android, PlayStation, Apple TV, Xbox and many more. Here is how a VPN can help you! If you are located in a country other than the United States, you can forget all about Black Mirror and Breaking Bad. As discussed above, a Virtual Private Network or Netflix VPN is your only resort in such a situation, primarily because copyright laws, geo-restrictions and the licensing related issues can never have any effect on a VPN, due to its encrypted tunnel. A VPN operates by creating a tunnel by which you can connect to the internet. A VPN makes sure that all of your data is being transmitted through this private network before it reaches Netflix. In this manner, a VPN is able to circumvent any restrictions in place on your IP address. A VPN does that by masking your original IP address and making it appear as if you are connecting from a different IP address. So what way can you get American Netflix outside USA? Buy a VPN subscription. You will have to go for a fast and yet reliable one, which is why you should choose Ivacy VPN. Enter the ID and Password received in the E-mail and launch the Ivacy app. Now you can launch Ivacy VPN app on the platform you are accessing Netflix from. Connect to a US server from the list of servers available. Now that you are connected with Ivacy VPN, go to Netflix USA. Netflix would be duped into considering your IP as that of USA and grant you access to the restricted shows and movies. However, you do need to have a Netflix account for this whole procedure. So, in case you don’t have it, you should get one. Download and set up Ivacy VPN on your Windows PC or Mac OS. Connect through an American VPN server. If you are using a VPN other than Ivacy, you will need to make sure that it is customized to be used for Netflix. If you haven’t yet, search for the best VPNs for Netflix on Apple TV or download Ivacy VPN directly! Once you have selected and subscribed to a VPN service, go to the Apple store and download the VPN app for iOs users. Finally, launch the app, sign in with the received credentials and connect to a US based server. It doesn’t matter if you happen to be using Ivacy VPN on an Android Smartphone, Android TV or even tablet, you will need to follow through the same steps to get American Netflix! Firstly, you need to sign up with a VPN service provider such as Ivacy. Download the Ivacy VPN app from the Google Play store. Connect to an American VPN server to unblock American Netflix! How important is it to select the right VPN for American Netflix? A VPN must have strong encryption protocols so that it can safely circumvent restrictions. When it comes to a VPN, the higher the number of servers it has, the better. More servers ensure that you have a long range of servers to choose from, so you can select the best performing ones. Some VPNs place restrictions on the amount of bandwidth you end up using while connected to them. Therefore, it is imperative for you to see whether such a restriction is there, when you go for a VPN, since streaming Netflix requires a lot of bandwidth! The VPN you go for, must have optimized/user friendly apps compatible with the major platforms available, otherwise it could become extremely cumbersome for you to unblock Netflix USA.